I think everybody has an addiction of some sort. For some it’s drugs, others are addicted to gaming and the like. My addiction (one of many) is what I call “old mine junk (OMJ)”. 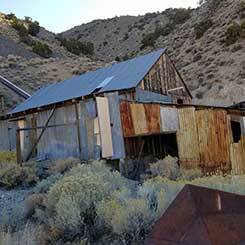 I am constantly on the hunt for old ghost towns and mines. 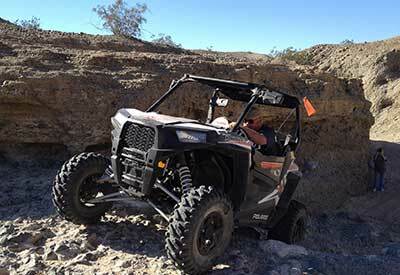 I put 5,000 miles a year on my OHV (Polaris RZR) in search of this stuff. This doesn’t include the time I spend researching and doing map work on the computer. But I have improved. There was a time in the not too distant past that all I had to see is an old mine tailing and I was on it. Most were just a fenced off hole in the ground. Not even worth a picture. Now, I am in search of structures. Buildings . . . ruins of building, head frames, foundations . . , just something I can snap a photo of. But find me a stone building with square cut corners. Hard braking and a photo event ensues. 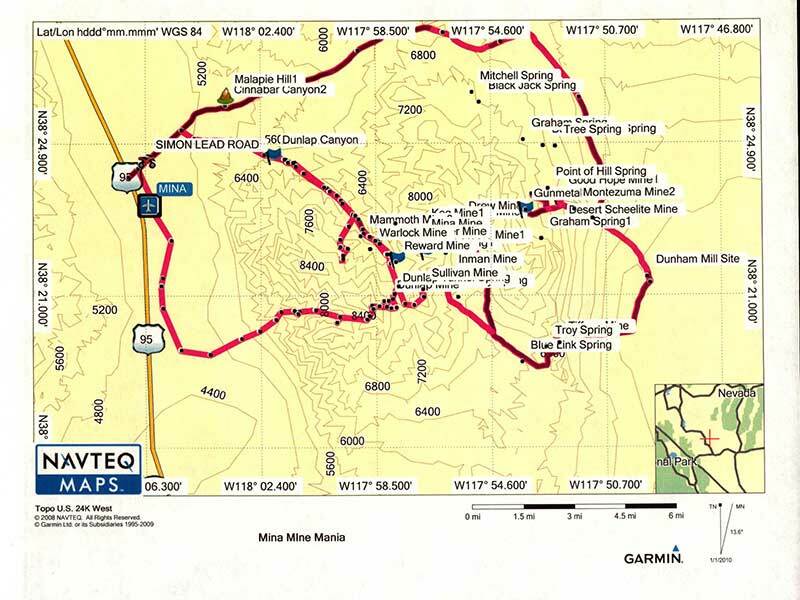 One of the most prolific areas I have found recently for this is in the region of Mina in Mineral County (see map). 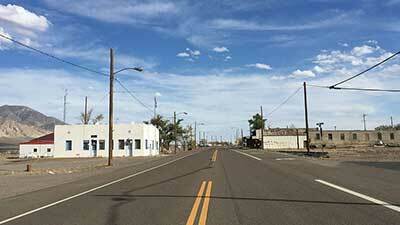 Most people know Mina as just another slow down thirty miles south of Hawthorne. 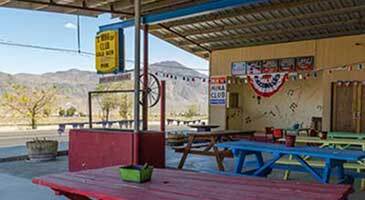 No store, no gas but S’Soccoro’s (below, right) is a famous burger hut (it is good) and the Mina Club (below left) will serve a cold beer to a hot, dusty and thirsty adventurer. Other than that: no modern conveniences. However, the hills surrounding Mina hold a wealth in OMJ and for the serious adventurer there are several days worth of knocking about the back country. Mina was named after Ferminia Sarras, also known as the Copper Queen. Born in Nicaragua, she and her two daughters migrated to the dry valleys of west central Nevada where this woman of incredible grit was able to make a name — and a fortune — for herself. But that’s another story. On the east side of Mina are the Pilot Mountains. At first glance, just another barren mountain range between Reno and Vegas, but scratch the surface and it is littered with some really interesting OMJ. Looking at the map, the names jump out at you. Cinnabar, Dunlop, Warlock, Mammoth, Betty, and the Belleville are just a few. 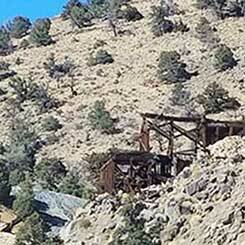 However, one that sticks out in my memory is the Gunmetal Mine and I almost missed it. I was with a group of people and we had been knocking about all day. We were headed to the Gunmetal as a last stop. It was a fall day and the sun was just about to adios behind the mountains when we reached what we thought was the site. 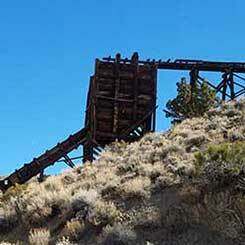 There were a few old buildings in various states of decay and disrepair but the road continued on up the canyon. Dinner and a cocktail were calling to me and I was ready to head to the barn. But the Gunmetal is just one of many OMJ sites in this area. 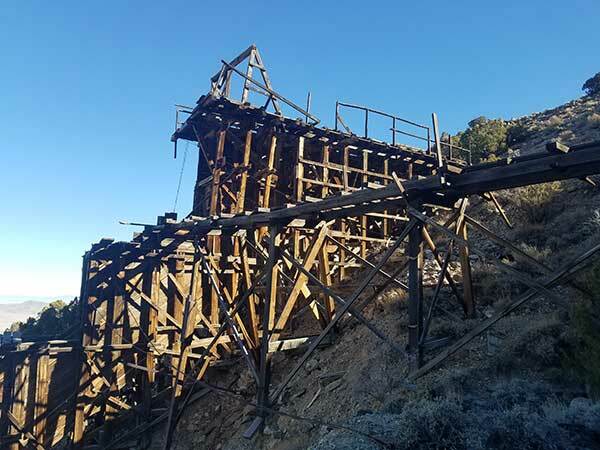 The Simon Lead Mine complex is also worth a visit with plenty of structures still standing and some not so much. 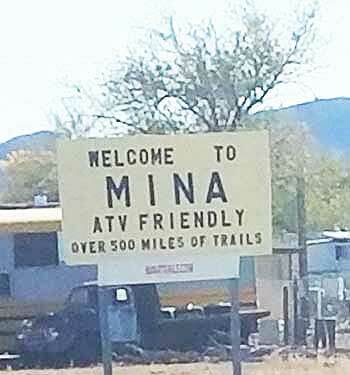 The Mina mine is interesting as is the Belleville. 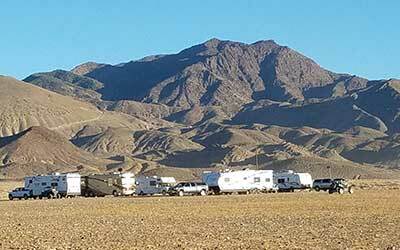 The Sunrise Valley RV Park offers full hook up RV spaces for the adventurer in this area. 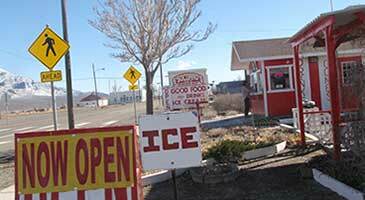 And, as an added bonus, the owner, Tom Willis wrote a book with detailed directions on how to reach some of these spots. This spiral bound book is available at the RV Park or Amazon.